Sometimes a book just makes you smile as you know it is going to be a book that lasts forever and will become a regular feature on all your children's bookshelves and that is exactly what I felt when I was sent Creaturepedia to review. 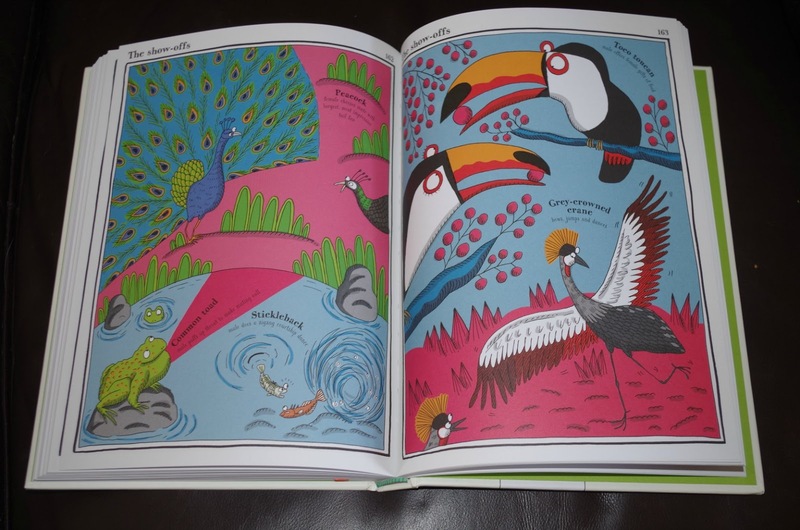 This is a beautifully illustrated book from Wide Eye Editions (RRP £14.99) that is quite honestly worth every penny. 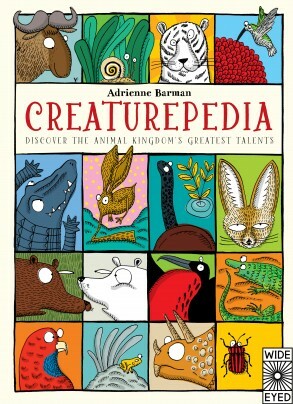 This book has over 200 pages of eye catching images, featuring 600 creatures from all over the world. It is packed full of fascinating facts that I, an adult, found interesting and each page uses such bold and eye catching colours that children (and adults) of all ages will find the book of interest. 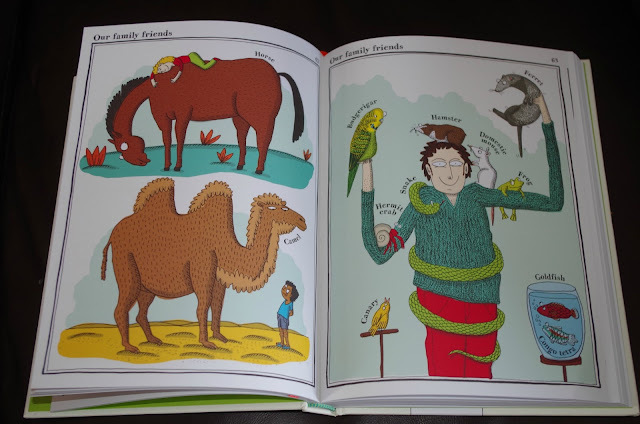 The book is aimed at children older than M (aged 1) but she sat with me for a good hour as we flicked through the pages looking at the animals and talking about them. She would point at different pictures that she likes and in some cases would give the animal a kiss. It will be a great teaching tool for language for M and I am glad she enjoyed reading it with me. I can see children spending hours looking through the book and teaching adults around them about different animals. Horned Lizard puffs up and sticks out spokes to scare of attackers; can also squirt blood from eyes! The book is split into 42 sections featuring animals, such as "The endangered", "The sprinters" and "The mythical", so there will be a whole number of sections to suit any occasion. This would be the perfect gift to give on a birthday or Christmas and I highly doubt the recipient would be disappointed. I think one of the things I liked about this book is that is has very few words - just enough to make it worthwhile - and concentrates heavily on the images. This means it is suitable for confident readers as well as those who can't read as well. The lack of words does not mean it is not educational but for those who do want to find out more it gives them the ability to use other methods to do research. The contents page is easy to understand and is a great way to introduce contents pages to children. For those wanting to find a specific animal there is an index at the back of the book. M has always had a love of books and an attention span for things she loves, it has taken us by surprise. I just hope she continues to love reading.